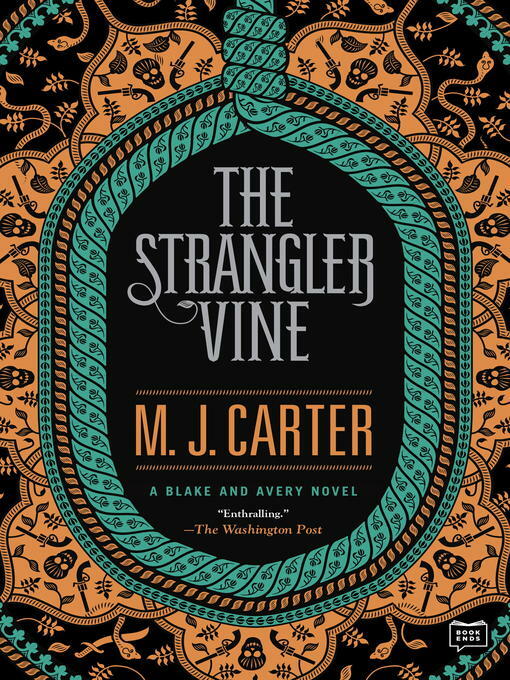 Set in the untamed wilds of nineteenth-century colonial India, this dazzling historical thriller introduces Blake and Avery—an unforgettable investigative pair. India, 1837: William Avery is a young soldier with few prospects except rotting away in campaigns in India; Jeremiah Blake is a secret political agent gone native, a genius at languages and disguises, disenchanted with the whole ethos of British rule, but who cannot resist the challenge of an unresolved mystery. What starts as a wild goose chase for this unlikely pair—trying to track down a missing writer who lifts the lid on Calcutta society—becomes very much more sinister as Blake and Avery get sucked into the mysterious Thuggee cult and its even more ominous suppression. There are shades of Heart of Darkness, sly references to Conan Doyle, that bring brilliantly to life the India of the 1830s with its urban squalor, glamorous princely courts and bazaars, and the ambiguous presence of the British overlords—the officers of the East India Company—who have their own predatory ambitions beyond London's oversight.